SW Africa DMC is passionate about sustainable tourism. For that reason, we have decided to partner with suppliers, hotels and lodges that all share a similar environmental ethos. We believe that by working together on corporate social responsibility projects we can not only make a sustainable impact on our world but also offer travellers the opportunity to get to know the destination in an alternative way. 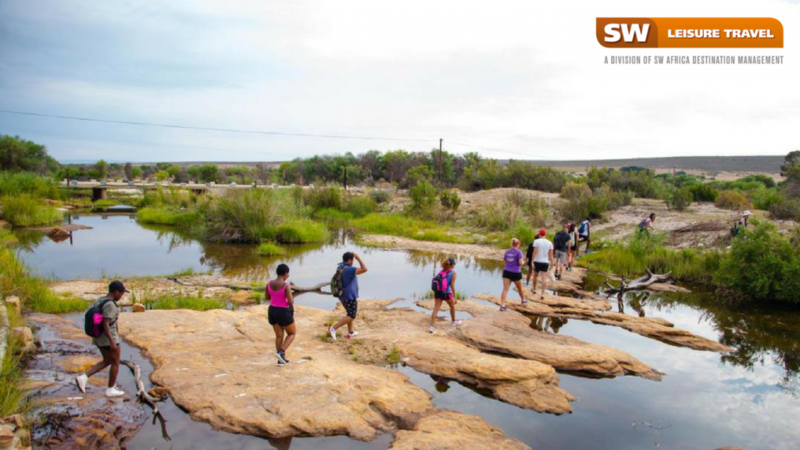 At SW Africa, we love showing travellers Southern Africa’s beautiful destinations, but we also want to make a meaningful impact by helping local communities as well as actively contributing to conservation programmes. We ensure that our travellers have a life-changing experience when visiting Southern Africa, while at the same time, we also endeavour to transform the lives of the children in the local communities by offering them hope for the future. One of the outreach programmes in which SW Africa actively participates is Love Trust – Nokhuphila Primary School. Love Trust, a South African non-profit organisation, has the vision to nurture future generations through the delivery of Christian education to children in disadvantaged communities. SW Africa DMC is committed to lending a helping hand to Love-trust by helping them nurture vulnerable children in impoverished communities. In collaboration with the Love-Trust foundation, we are able to make a real difference in the lives of children growing up in poverty by donating everything from education, food, clothing and stationery. We strive to empower the children of Nokhuphila Primary School at Tembisa by giving them the best possible start in life through a solid educational foundation. Are you looking for an out-of-the-ordinary holiday where you can participate in community project activities? SW Africa can craft a memorable experience for you. Whatever social project activities you have in mind, the SW Africa team is here to help you. Through our established relationships with local partners, we can organise a music get-together with a local band or orchestra, or arrange for travellers to help build houses or create veggie gardens with locals. When you choose to travel to Southern Africa with SW Africa, you’re helping us to give back to underprivileged communities. You’re not only enriching local societies, you’re also helping to fund important conservation projects to protect endangered species. According to statistics on rhino poaching and rhino horn smuggling, more than 1000 Rhinos were killed by poachers in South Africa in 2017. The main purpose of the Hoedspruit Endangered Species Centre (HESC) is the conservation of rare, vulnerable and endangered animal species such as cheetah and rhino. Travellers who are passionate about making a difference to the long-term survival of the planet and its animal inhabitants can participate in HESC research projects. People across the world have started realising that if they want their children to be able to enjoy and appreciate Africa’s beautiful wildlife, they’ll need to act fast. They are looking to be actively involved in conservation and participate in tangible conservation projects. Travellers to Southern Africa can look forward to participating in projects where they can help wildlife veterinarians with animal relocations and notching. Through these projects, they gain valuable knowledge about the animal’s health, breeding, treatments, foods as well as learn about anti-poaching projects. 5 cutting edge reasons why South Africa is the ideal destination. What can you learn while you travel?